The assessment of human abilities dates back nearly 4000 years when China used written tests to rate applicants for civil service. Two-thousand years later, during the Hans Dynasty, civil service type exams were used in the areas of law, military, agriculture, and geography. In the early 1800s British diplomats observed the Chinese assessments and modified them for use in Britain and eventually the United States for use in civil service placement. Sir Francis Galton is a key figure in modern intelligence testing. As the first cousin of Charles Darwin, he attempted to apply Darwin’s evolutionary theory to the study of human abilities. He postulate that intelligence was quantifiable and normally distributed. In other words, he believed that we could assign a score to intelligence where the majority of people fall in the average range and the percentage of the population decreases the farther from the middle their score gets. Another theorist, Raymond Cattell, described intelligence as having two distinct factors. The first he called Crystallized Intelligence, representing acquired knowledge, and second, Fluid Intelligence, or our ability to use this knowledge. Intelligence is not something we can see or hear, or taste. We can see the results of intelligence…sometimes. Many argue that quantifying intelligence correctly is impossible and all that modern IQ tests do is test our knowledge and abilities. While it is true that a person can learn to improve his or her score, this can only occur if correct responses are taught to the person, which is highly unethical. We have also found that our individual IQ score remains quite consistent as we get older. 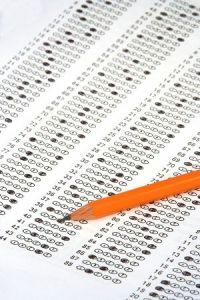 Some argue, however, that modern IQ tests are prejudiced against certain ethnicities and cultures and tend to result in higher scores for others. Where this leaves us, however, is uncertain. As of today, these IQ tests are the best we have in our attempt to quantify the construct known as intelligence.